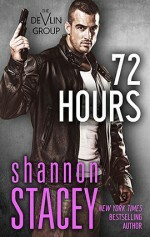 You can get the first book in the Devlin Group series, 72 Hours, free! The Kowalski family is back! Grab a copy of What It Takes today and fall in love with a brand new couple while being reunited with all of your Kowalski favorites! You can also find links to your favorite paperback retailers here, and What It Takes is also available from Audible. The Devlin Group series is once again available from your favorite digital bookstore! This action-adventure romance series follows the men and women of the Devlin Group, a privately owned rogue agency unhindered by red tape and jurisdiction. Whether doing a private job or a secret mission for the government, these contract agents don’t hesitate to put their lives on the line…especially when it comes to love. In less than two months, the Kowalski family will be back—along with a brand new couple—and you can read the first chapter here, as well as find preorder links to your favorite bookstores! In the mood for a Christmas romance? Need a reward for checking boxes off on your holiday to-do list? Holiday With A Twist is available now! “Perfect length novella and a truly awesome story makes this a must read Christmas story.” – A Night Owl Reviews Top Pick!